Former mayor Vilmar Acosta arrived in Asunción - Paraguay's capital - Tuesday Nov. 17 after Brazil approved his extradition. He now will have to answer for the murder of journalist Pablo Medina, according to Reuters. The journalist’s assistant, Antonia Almada, was also killed in the attack targeting the reporter. Acosta, former mayor of Ypejhú, was accused of masterminding the Oct. 16, 2014 murder of Medina, regional correspondent of ABC Color, the newspaper with the largest circulation in the country. According to ABC Color, last night Acosta was planned to stay in the offices of the Task Force of Specialized Police (FOPE for its acronym in Spanish). Today at 9 a.m., he was required to report to the prosecutor and then be available to the court, the newspaper said. Brazilian authorities captured Acosta, known by the alias of 'Neneco,' on March 4 in the city of Naviraía in the state of Mato Grosso do Sul. Paraguayan authorities delivered the formal extradition request on March 30. Imagen del Sindicato de Periodistas de Paraguay (SPP). However, the process was delayed because Acosta claimed to be a Brazilian citizen. According to Brazilian law, nationals can not be extradited. However, in the official request sent by Paraguay, the country's authorities included documents that proved ‘Neneco’s’ Paraguayan citizenship. On Nov. 11, Brazil announced Acosta’s extradition, which occurred on Nov. 17. The president of Paraguay, Horacio Cartes, thanked "the good will" of the Brazilian government, as well as prosecutors and police who worked on the case, according to the website of the Presidency of the Republic. Also, the president "stressed that it is in the hands of justice to solve the murder of journalist Pablo Medina and the young Antonia Almada 'with the hope of a Paraguay where impunity is a thing of the past,’” according to the website. Medina and Aldama were shot on a rural road as they returned from the indigenous community Ko'ê Porã just outside the city of Curuguaty in the department of Canindeyú. Since the day of the murder, Acosta Marques was linked to the investigation of the crime due to Medina’s many publications linking the official with drug trafficking and even some killings, according to the newspaper ABC Color. Two days later, the police and the prosecution searched his home, his parents’ home and the municipal headquarters; but by then Acosta was a fugitive, the paper added. On October 29, police and the prosecution presented a report in which they accused Acosta Marques, alias ‘Neneco,' as being the mastermind of the murder. They also linked a brother and a cousin of Acosta as the perpetrators of the crime. Medina's murder became the third in Paraguay during 2014. In total, the country had four killings of journalists that year. The Committee to Protect Journalists placed the country among the 20 deadliest countries for journalists this year. A month ago, as part of the commemoration of the first anniversary of these crimes, national journalists and others around the world they came together to demand an end to impunity for the murders of journalists in Paraguay, especially for that of Medina. 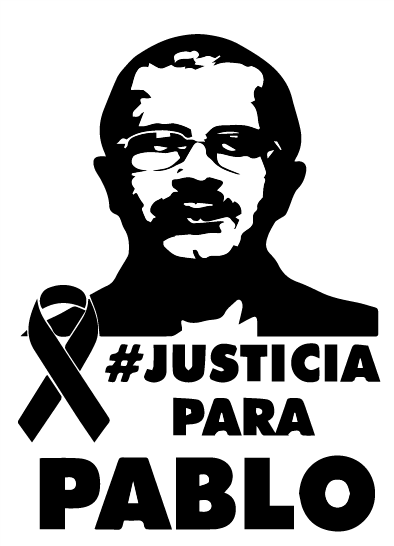 The hashtags #JusticiaParaPablo (#JusticeForPablo) and #UnAñoSinPablo (#AyearWithoutPablo) spread on social networks.